It's been everywhere today, but incase you haven't heard: President Obama directed the EPA to grant states the right to regulate tailpipe emissions. This reverses a Bush administration decision that denied 14 states the ability to issue clean car standards that were stronger than the federal government's. Obama promised action on clean energy and global warming in his inaugural address and it didn't take long for the states to take him up on that offer: On January 22, California's Governor Schwarzenegger (R) sent a letter to President Obama asking that California and other states be granted the right to set their own carbon dioxide emission standards for cars. In 2007, the EPA had rejected California's request, claiming that only the federal government could impose those regulations. Minnesota is one of the states considering regulating tailpipe emissions this year and clean energy supporters are hopeful that the EPA reversal will push the Minnesota legislature (and other states, including Florida and Illinois) to pass a standard. According to an Environment Minnesota analysis, the existing 14 state standards will cut gasoline consumption by more than 50 billion gallons by 2020, saving Americans $93 billion at the pump. CO2, Green House gas and Global Warming is a big hoax. 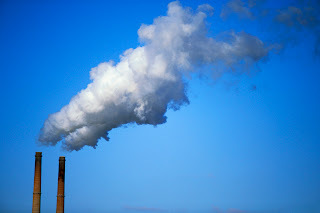 CO2 is the air we breathe out and is a crucial part of the life cycle. Carbon tax is a war on life. There are other harmful chemicals and dust particles that are overlooked. Why focus on CO2? The sun's activity more closely resemble the average temperature on earth. Hi Anthony - There are other emissions that contribute to global warming other than carbon dioxide. Methane is one of them. As far as global warming, the Intergovernmental Panel on Climate Change, the U.S. Defense Department, former President Bush and countless climate scientists and business leaders are taking action based on the science that finds humans are contributing to the problem. Even better, the solutions to global warming - like cleaner, homegrown energy and new, more efficient technologies - have health, national security and economic benefits as well.